Steven (Chicagoland, United States) on 27 March 2019 in Plant & Nature and Portfolio. 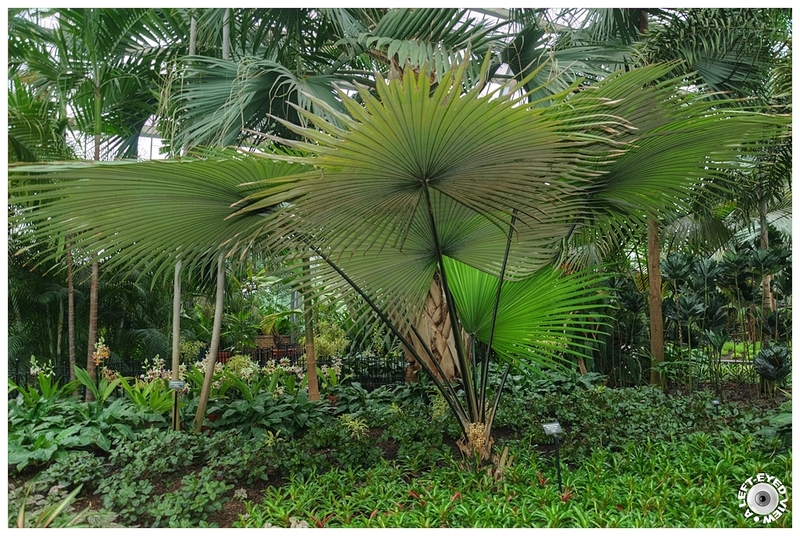 The so-called "White Elephant Palm" is beautiful and elegant with its very large, completely circular, and only shallowly divided fan-shaped leaves that are white underneath. It grows in just a tiny area of Thailand, and even though it is very rare, its large seeds are slowly finding their way into cultivation, and these wonderful palms are being seen more frequently. It is definitely best in warm subtropical and tropical, wind-sheltered areas and also does well as a stunning house plant. That conservatory is giving us all kinds of treasures, Steven, thanks to you! Excellent photo and the different green colors are beautiful. They spread out beautifiully..What a lovely image here !!!!!!! These sure would provide some beautiful shad for a picnic. Great to see these Palms in great condition. Excellent image. Quite a beautiful and dramatic span. Great shot. J'aime beaucoup ces grandes palmes !! Madagascar almond trees and bismarckia palms are very popular in Malaysia though. In my house, I have two "cousins" of these plants. They will not be of the same species, but they are very similar. The garden of photo, is a garden in perfect harmony. It is a gorgeous palm. It looks stunning in this setting. This must be a fabulous place to visit! Wow, this palm is gorgeous! it looks like the kind of palms used to fan the Raja in 1930's movies. Belles tonalités de verts ... Splendide.